If you’re really looking to get back to nature with your fly fishing trip then look no further than Noontootla Creek. 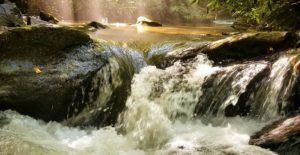 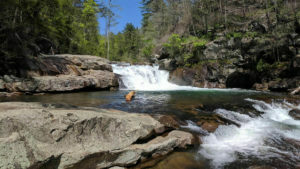 A healthy managed trout stream, Noontootla Creek originates deep in the Chattahoochee National Forest at Springer Mountain near Union and Lumpkin Counties and flows to the northwest for about 11 miles before joining the Toccoa River. 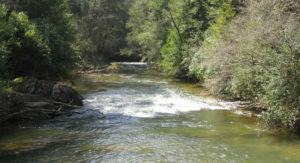 Noontootla Creek presents a large variety of opportunities for anglers and it’s not uncommon to come away with some rainbows and browns that are whoppers, and native brook trout are frequently found here due to the elevation as well. 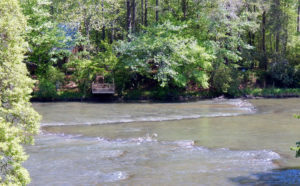 Join our professional guides on these pristine private waters year round.